Sunday Oliseh has, exclusively, told Brila FM that the Turkish owners of Fortuna Sittard rounded up squad members of the team to sign off on documents to get him out of the job over his refusal to approve “illegality”. Oliseh said the owners hatched a sinister plot that would have only landed him and his assistants in jail if they were found out by the authorities. 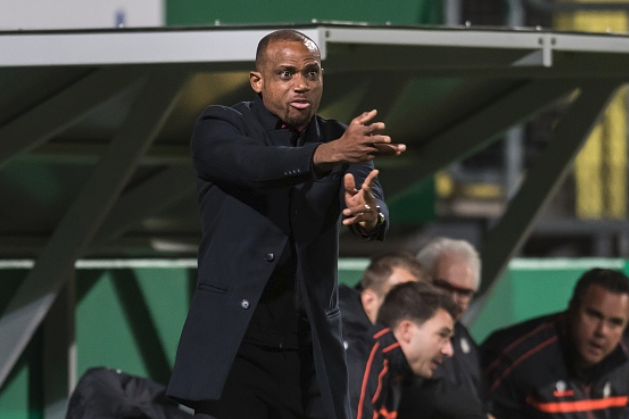 On Wednesday, the Dutch lower division side announced they had suspended Oliseh for a breakdown in professional relationship with his players and the club’s management. The irreconcilable differences and not the team’s on-field performance prompted the decision to cut off the former Nigerian Coach. “They were asking me to do something illegal; not just me but my assistants as well and it was instigated by the Turkish owners. “The owners approached some of the the players who don’t play and were getting them to sign documents to get us sacked over cooked up allegations, but one of the key players of the team came to me to reveal all those moves. “At this point, our lawyers have already started to work on getting us what we’re owed,” he explained. Asked if he will return to Fortuna Sittard should the matter be resolved, Oliseh’s response was emphatic. “Even if the league board says I should go back there, I’ll say No. ” It’s been a great 14 months coaching this cub. We’ve broken every record at the club that there is. We won the first title in 23 years, went on a 7 game winning streak and so on.